With Illa J the older brother of the international celebrated Jay Dee aka J Dilla comes to Austrias capital for the first time. Recently the multi-talented MC and producer just released the album Yancey Boys, on which he rhymes and sings over a treasure trove of previously untouched gems of the late opus of his younger brother, who died almost 4 years ago. On stage Illa J will not only present the longplayer, he also performs some of his newest own productions. 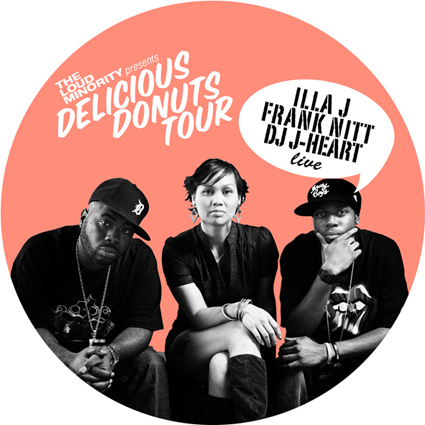 Beside him Frank Nitt from the famed duo Frank n Dank and DJ J-Heart will show how deep HipHop made in Detroit sounds. So be all set – Detroit’s in Vienna to rock the mic, the turntables and you!